This is the style my dance teacher taught me a few years ago. 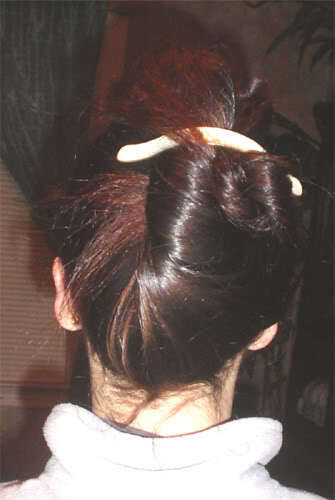 It is a loosely twisted style similar in form to the folded braid. This is the style my dance teacher taught me a few years ago. 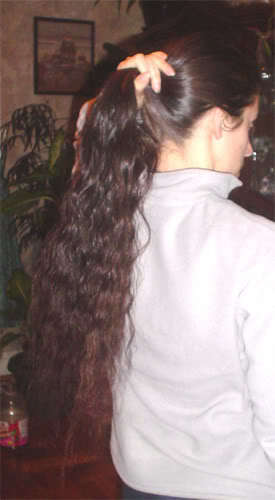 It is a loosely twisted style similar in form to the folded braid. 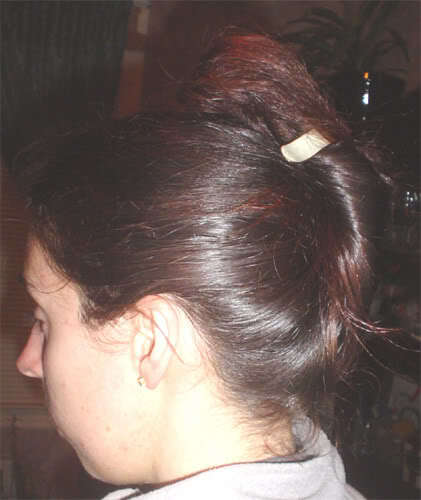 Here I use a Ficcare, though a similar clip or a hair slide should work too. 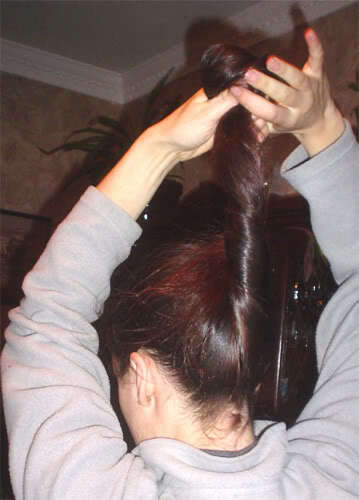 For thick hair it works from waist-length up until the hair won't fit into the clip. 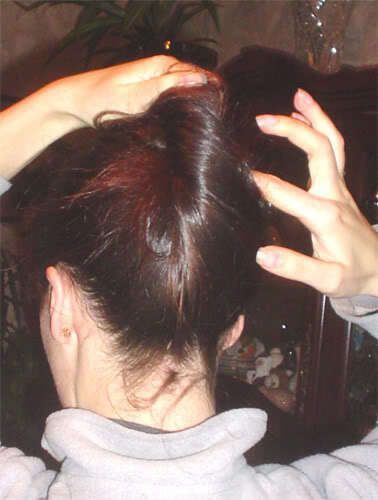 Grab hair in a ponytail. Slide hand halfway down the length and start twisting the hair together. Twist until all the hair to the ends are in the twist. Fold the twisted part in half. Hair is folded in fourths now. Secure down the center with a clip. Shown here with a honey marble ficcarissimo, size large. Missrandie, it is very similar. My dance teacher does this all the time. It's a very quick and easy style. Great Idea ~ bookmarked Thanks!! I used to fold my "peacock twist" when my hair got longer just about that way too. Loved that style on me. Did it with a claw clip until I hit waist/hip and when buns finally became a reality for me. 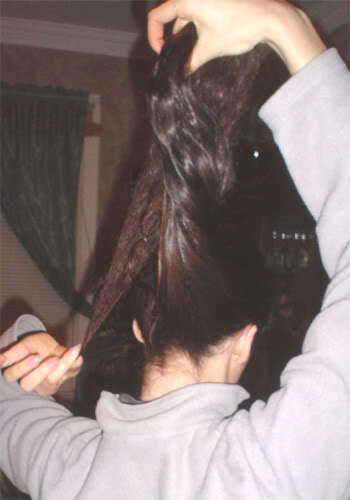 I started doing this at hip length when my dance teacher gave me a metal clip that is used for this. The first updo I did was a peacock twist, somewhere between shoulder & APL, and as my hair kept on growing I started to fold the thing under, and under more and under more. I couldn't do a bun until waist/hip, so I was basically stuck with the style. But it suited me, and I like it. It's a good style, very comfy. I haven't had hair shorter than waist since I was very young so I've never been able to wear a peacock twist. I just started out with this and the cinnablob. Well, in any case, thanks so much for the article, the style deserved one!